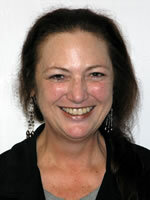 Dr. Marsha J. Bennett is an Associate Professor at Louisiana State University Health Sciences Center School of Nursing. She received a Bachelor of Arts in Behavioral Sciences – Anthropology from the University of South Florida, a Bachelor of Science in Nursing from Arizona State University, and a Master of Nursing and Doctor of Nursing Science from Louisiana State University Medical Center. Dr. Bennett is an Advanced Practice Registered Nurse in psychiatric and mental health nursing, an AIDS certified Registered Nurse, and a Certified Nurse Educator. She is the Director of the Louisiana Center for Evidence-based Nursing at LSUHSC School of Nursing, an affiliate center of the Joanna Briggs Institute. She is a certified systematic reviewer with the Joanna Briggs Institute. Dr. Bennett serves as a peer reviewer for the American Journal of Men’s Health, Journal of Continuing Nursing Education, Journal of Holistic Nursing, Journal of the Association of Nurses in AIDS Care, and the JBI Database of Systematic Reviews and Implementation Reports. She serves as a committee member or reviewer for many regional and national organizations including Ochsner Clinic Foundation, East Jefferson General Hospital, the HIV Outpatient Program, Sigma Theta Tau International Honor Society in Nursing, the American Psychiatric Nurses Association, the Southern Nursing Research Society, and the Association of Nurses in AIDS Care. She currently serves as the course coordinator for research and evidence-based practice courses in the undergraduate, master’s, and doctoral programs Dr. Bennett serves as a major professor or committee member on Doctor of Nursing Science dissertations and Doctor of Nursing Practice Scholarly Inquiry Projects. Dr. Bennett has served as the Research Coordinator and Director of Clinical Research at LSUHSC’s HIV Outpatient Program Clinic. She has experience as an advanced practice nurse consultant, forensic consultant, and HIV mental health clinical nurse specialist and evaluation consultant. She served as the Associate Dean for Nursing Research, Scholarship, and Science at LSUHSC School of Nursing for five years and currently serves as a member on the LSUHSC Institutional Review Board. Dr. Bennett’s research interests and publication areas include mental health issues surrounding HIV, delirium in older hospitalized adults, qualitative and mixed methodologies, end of life, and novel technologies to deliver education, such as Second Life. She has authored and co-authored numerous funded programmatic grants, and partnered with interprofessional researchers to investigate community collaboration, mindfulness, and mental health issues post-local disasters. She was nominated for the LSUHSC Copping Award in Teaching Excellence and has received many honors and awards including: the St. Charles General Professorship, the Association of Nurses in AIDS Care President’s Award, the Association of Nurses in AIDS Care Leadership Award, New Orleans Nurses in AIDS Care Clinical Excellence and Leadership Award, and the Sigma Theta Tau Distinguished Graduate Award.